Breaking ground on an infill site can be a tough task for developers and builders, who often times face a multitude of restrictions from the surround properties. But, the Community Dynamics​ team, responsible for designing and developing 616 E. Carson Street, has got it figured out. 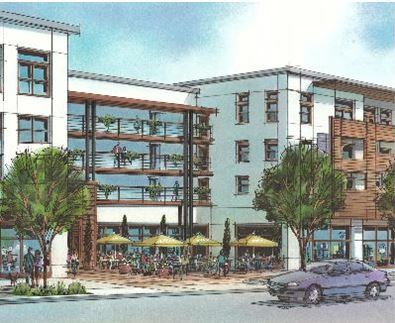 The infill site project that broke ground in April 2013, in Carson, Calif., is the sixth infill project to spring up in the Carson area. Though the project isn’t the first of its kind, Community Dynamics has included a number of new innovative features to set themselves apart, such as; outdoor dining courtyards, walkable neighborhood paseos, and a diverse option of affordable housing opportunities. The community was also the winner of the 2012 BALA for the Community, On the Boards category and was awarded a grant from the California Department of Housing and Community Development. With construction of actual buildings beginning in September 2013, Community Dynamics anticipates that the development will be fully completed and occupied by 2016. What do you look for in a housing community? What are your top “must haves”?